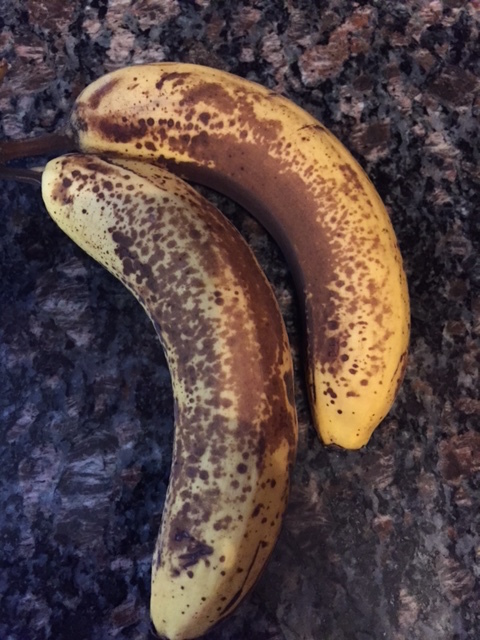 Every week I buy 5-7 bananas to add to my morning shakes and every once in awhile I have some ripe ones left over. Tonight I was looking for a recipe that was not only healthy but had very few ingredients. 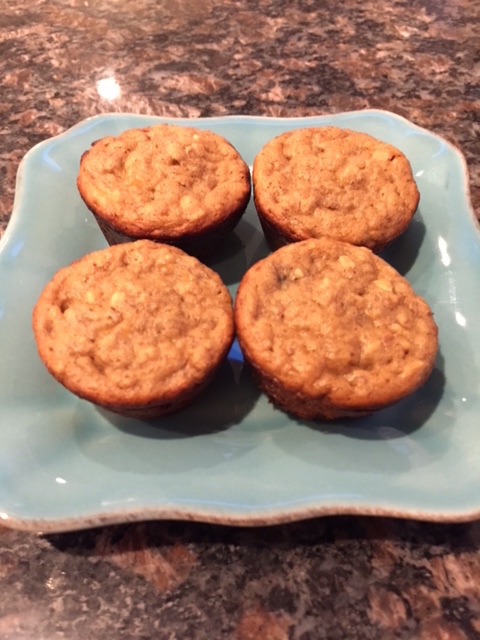 I found several recipes that sounded great but I ended up combining a few of them to make these nutritious, well balanced muffins that I could grab-and-go in the mornings as a great alternative to my shakes. They were very easy and quick to make and turned out delicious! Great for kids on the go too! Enjoy these for breakfast or even an evening treat! « No More Stretchy Pants!